We are so very proud to present our fully renovated and innovative ‘Kybrooke Cat Motel’ that is now completed in 2018. Cats’ comfort was paramount with our design and we have also included a loungeroom/living area and an outdoor adventure playgroung. As much as we can we have tried to replicate a house environment. Our living room area consists of scratching posts, lounge chair, cat tunnel & toys. Soon to be installed - kitchen and breakfast bar. Each cat spends portion of their day in the living room to relax, explore or play. (Yes it is ok for the cats to be on the bench)! The outside area is an adventure playground. It is fully enclosed and safe and has a series of connecting platforms, walkways, tunnels, ramps and scratching poles at various levels for cats to explore. We have plenty of toys and interesting cubbies to play in and investigate. 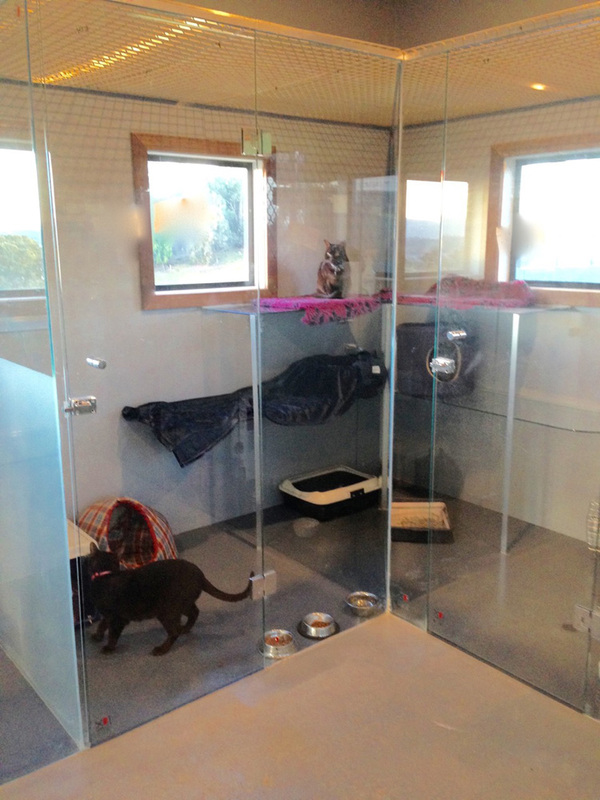 All cats are accommodated in individual accommodation unless we have families of cats who are welcome to share. Accommodation units are 3 level walk in suites with a platform and window for sunning themselves and a view to outside. Our Cat Motel is climate controlled for the comfort of cats. Inspections are welcomed. Please call for an appointment.